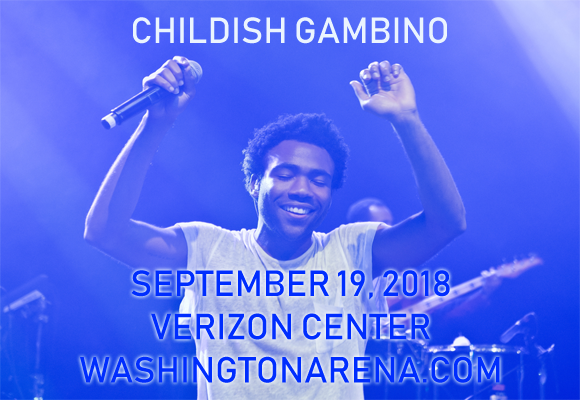 Actor/writer/director/comedian/producer/is-there-anything-he-can't-do Donald Glover aka singer/songwriter/rapper/DJ Childish Gambino is hitting the Verizon Center on Wednesday 19th September 2018 as part of his final tour before retiring the Childish Gambino stage name! Not only that, but the "Redbone" performer will be joined by the incredible Rae Sremmurd as support for the show! If you're a Childish Gambinop fan, you will NOT want to miss this… Tickets available now! Donald Glover is an American actor, writer, director, comedian, producer, singer, songwriter, rapper and DJ, who goes by the name mcDJ for his disc jockey work and Childish Gambino as a music artist. In 2008, Glover released Sickboi, an independent mixtape, which was followed by five more independently released mixtapes and an EP before he was signed to Glassnote Records in 2011. Glover's debut studio album, Camp, was released the same year, followed by 2013's Because the Internet, which put Childish Gambino on the map with two Grammy Award nominations. “Awaken My Love!” (2016), Glover's third studio album, was a directional change for the artist, drawing upon funk influences, as opposed to his previous hip hop releases. The album had five Grammy Award nominations at the 2018 awards, including Album of the Year for "Awaken, My Love!" and Record of the Year for its single "Redbone", which won Glover the award for Best Traditional R&B Performance. In June 2017, Glover announced that he plans to retire his Childish Gambino stage name.